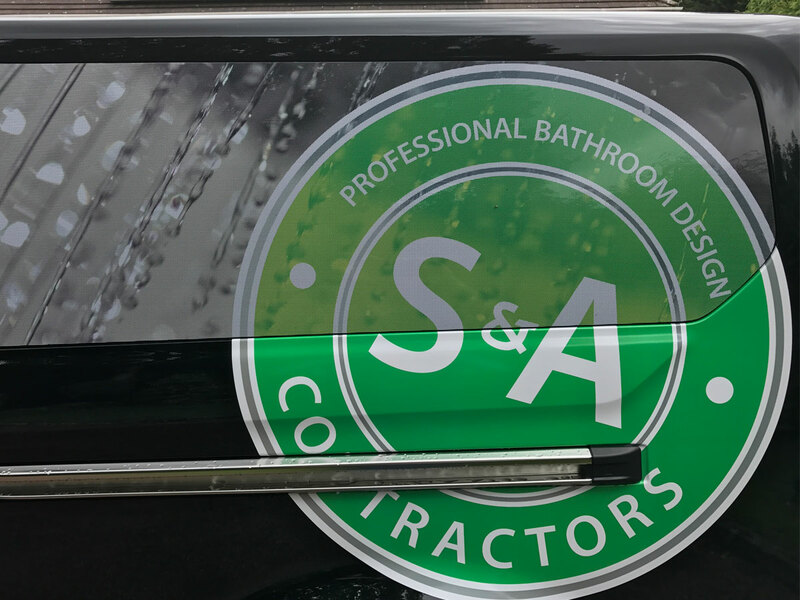 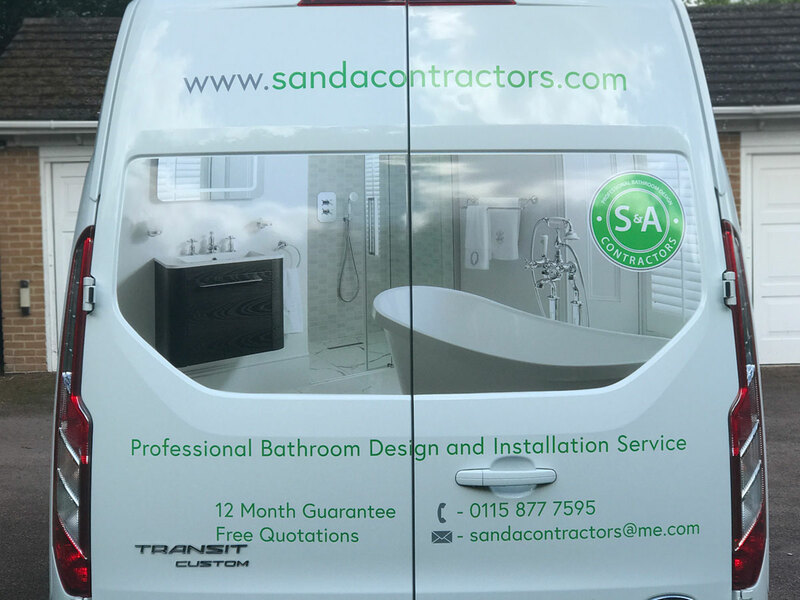 S&A Bathrooms based in Stapleford, Nottingham design and install luxury bathrooms suites and provide electrical work and plumbing. 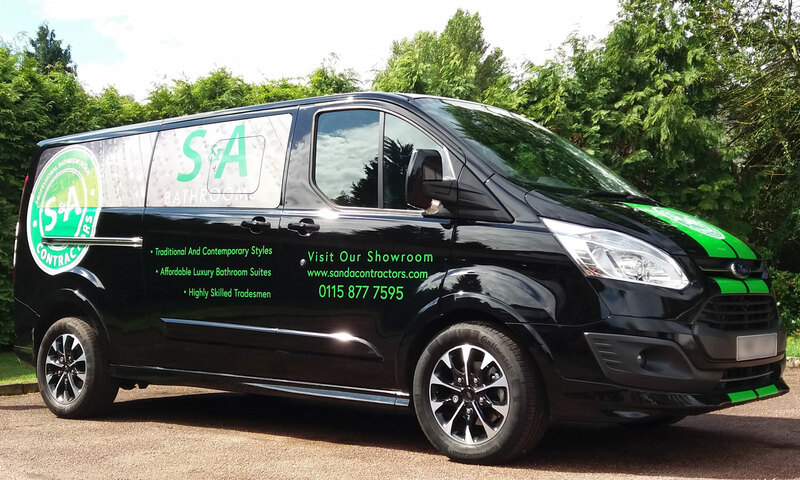 S&A required a design for their white van to advertise their products and services and wanted a striking, contemporary design for their black van to showcase and promote their brand. 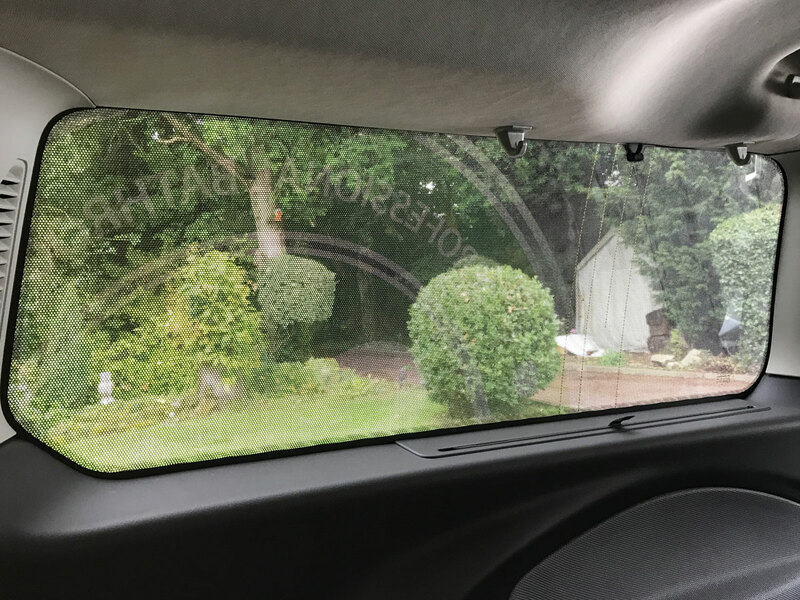 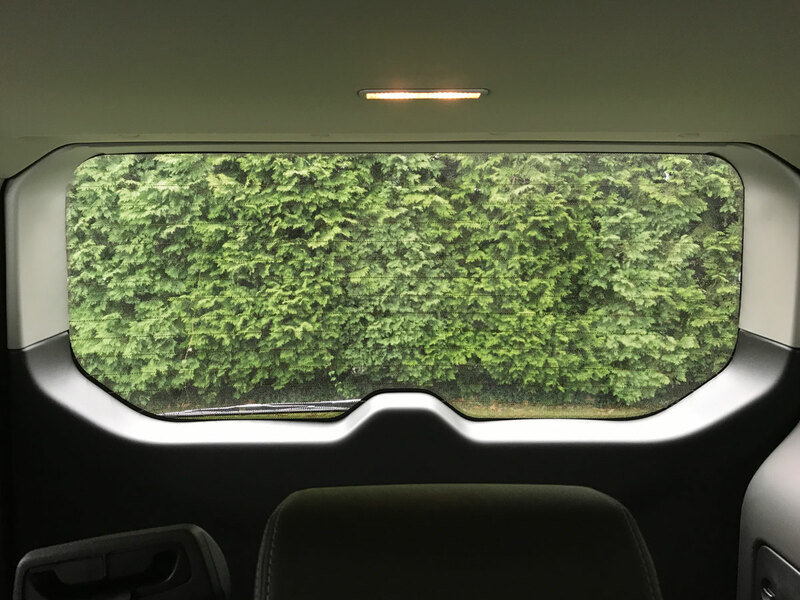 The clear vision vinyl used on the windows of the black van allows people inside the vehicle to see out, but blocks vision through the windows from the outside. 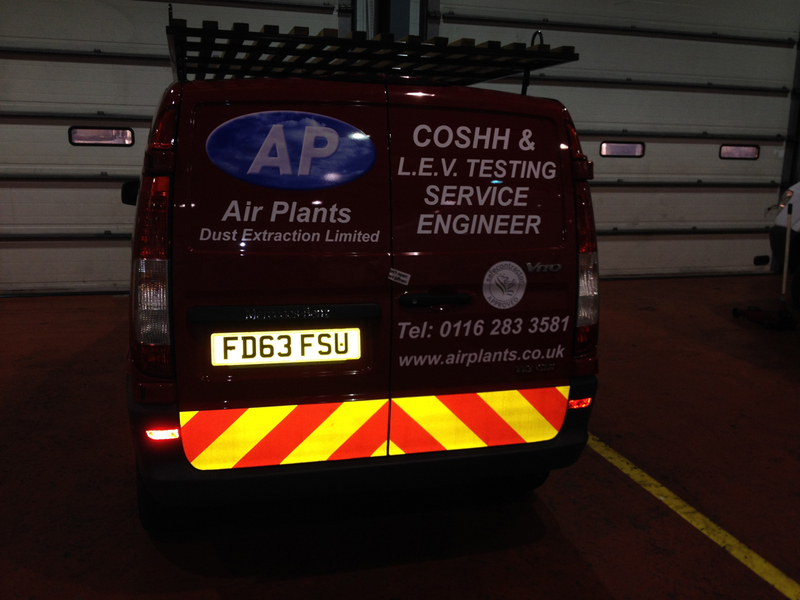 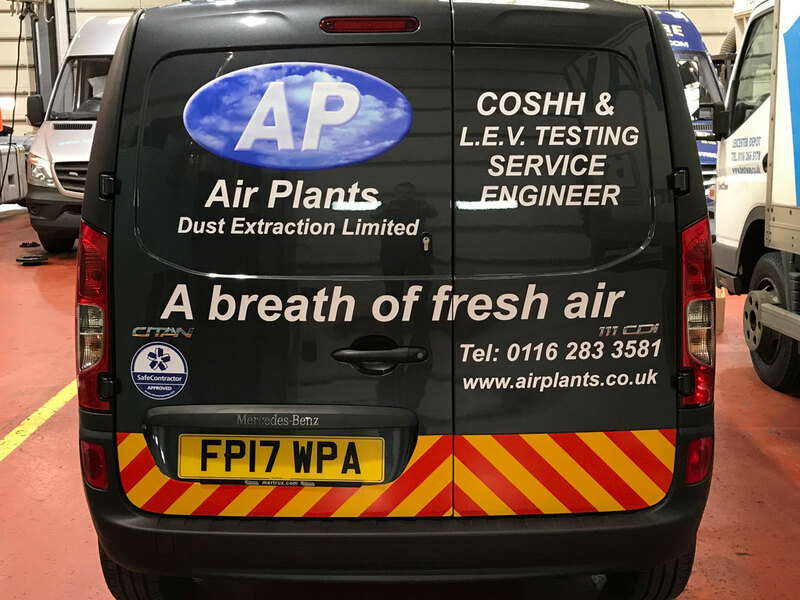 Air Plants engineers drive up and down the country carrying out installations and service and maintenance including COSHH and LEV Testing. 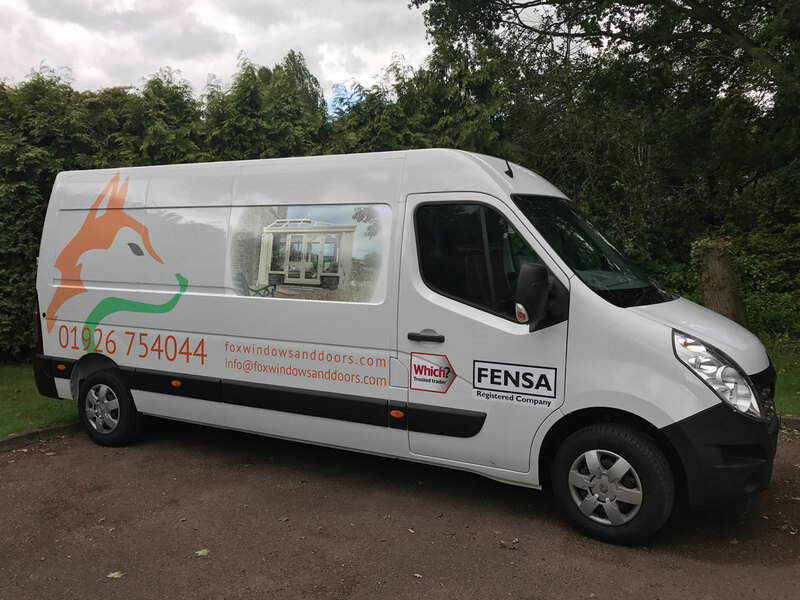 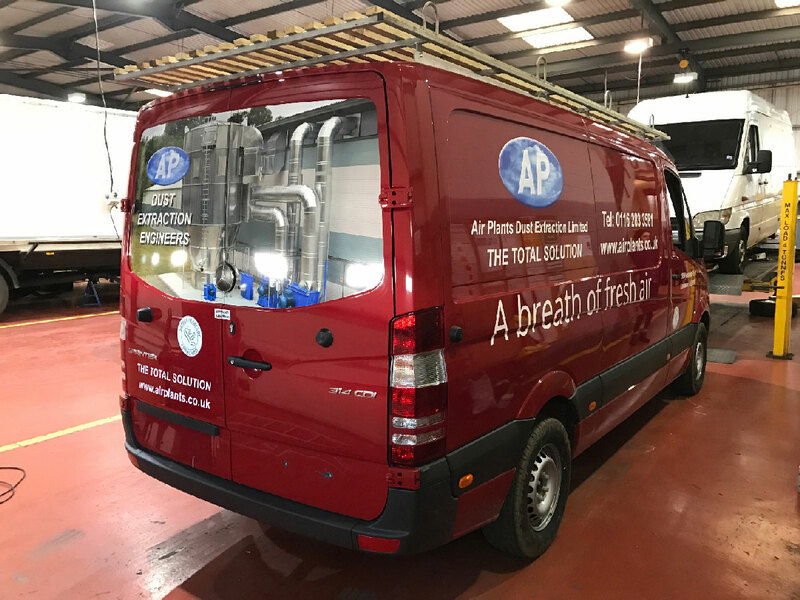 Through sign writing on their vans Air Plants are able to promote the company, it’s services and products and showcase their recent installations. 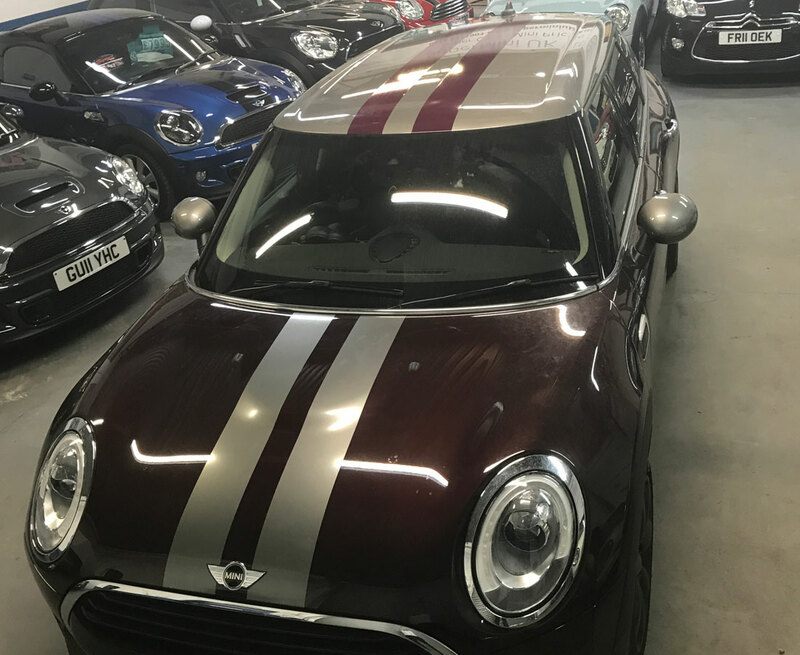 Supermini UK limited are a family run business based in Nottingham and sell hand picked quality pre-owned vehicles. 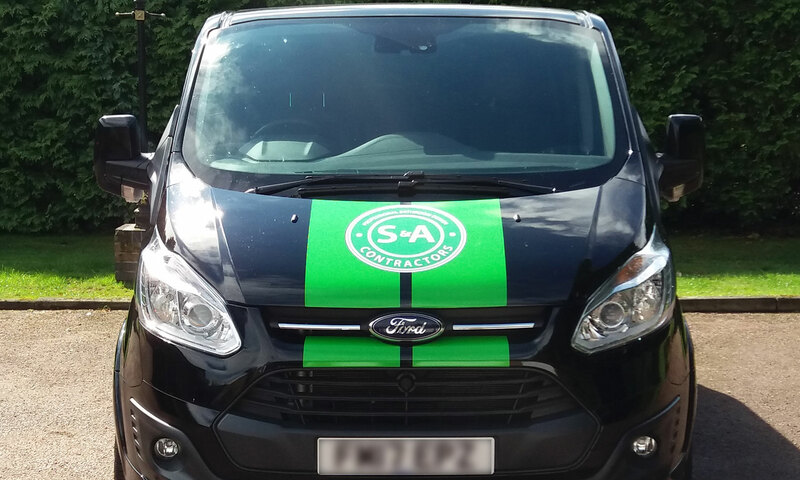 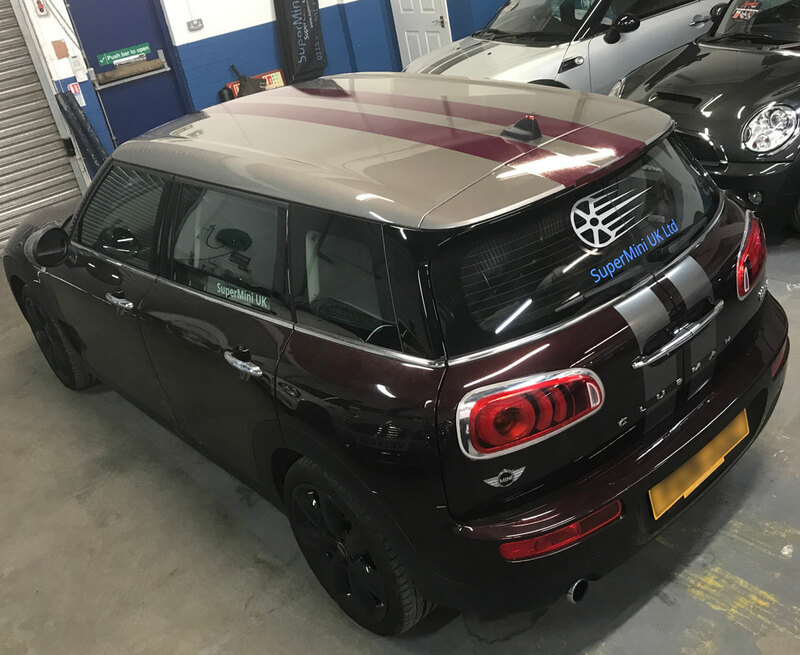 They had contrasting bonnet and roof stripes fitted to their company vehicle along with their logo on the back window and rear stripes. 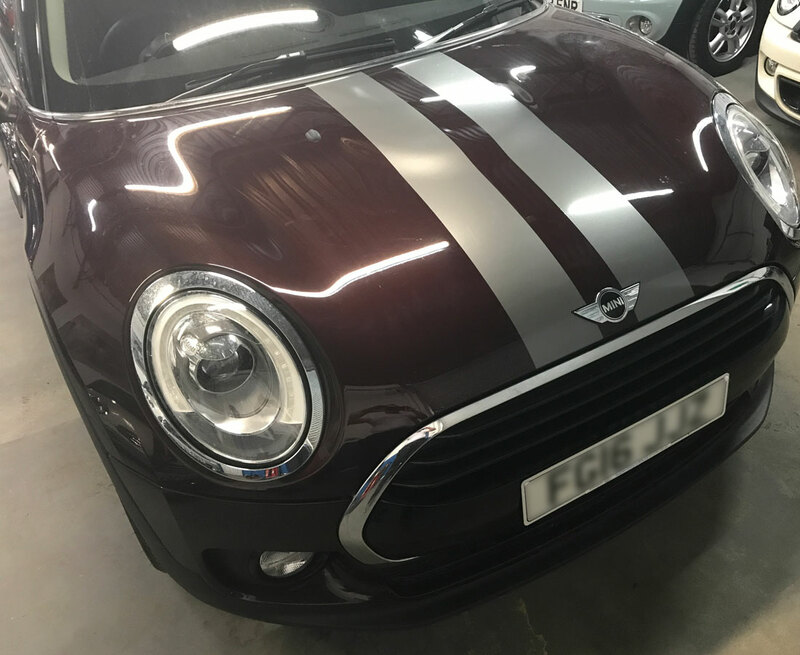 Stripes and and wraps are also available to their customers. 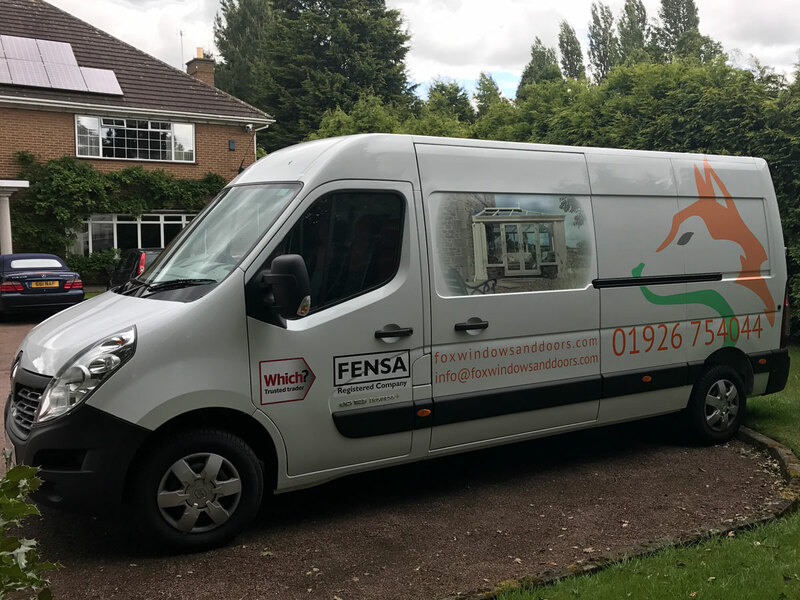 Fox Windows and Doors are based in Kenilworth, Warwickshire and also provide services within Leicestershire and Rutland. 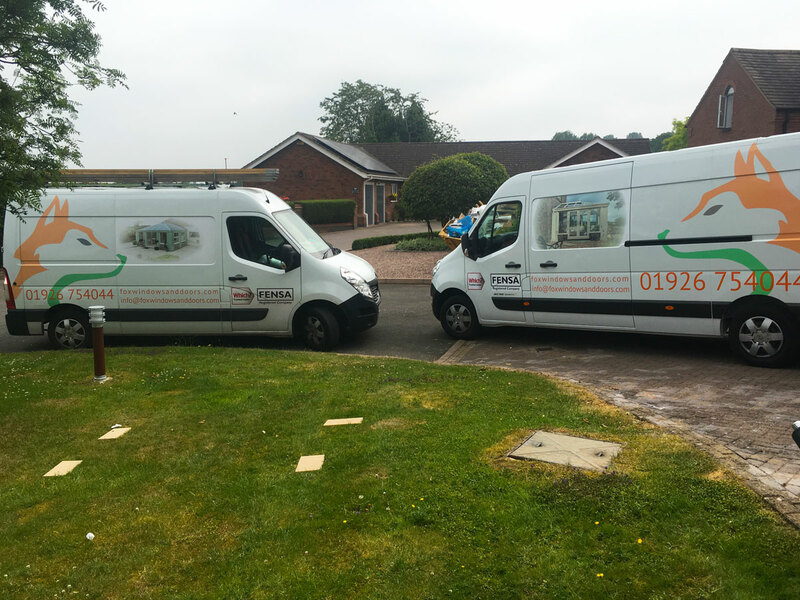 They supply and install a range of windows, doors, conservatories and more. 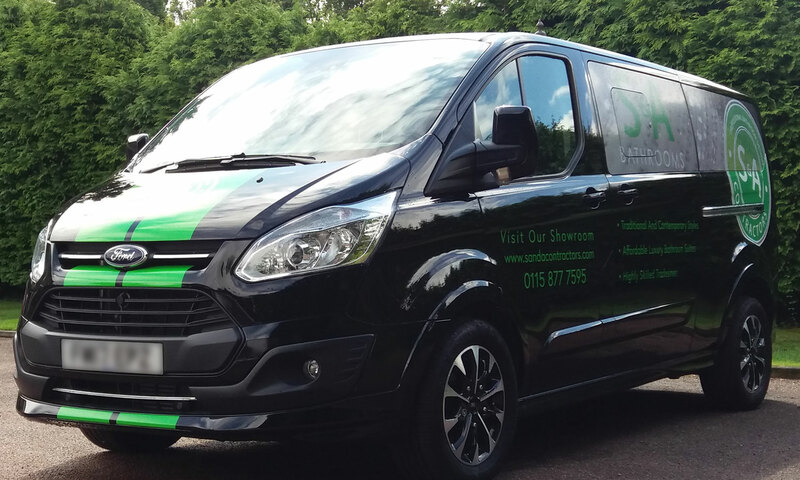 The faded logo on their two vans offers an understated and contemporary design that is in keeping with their brand. 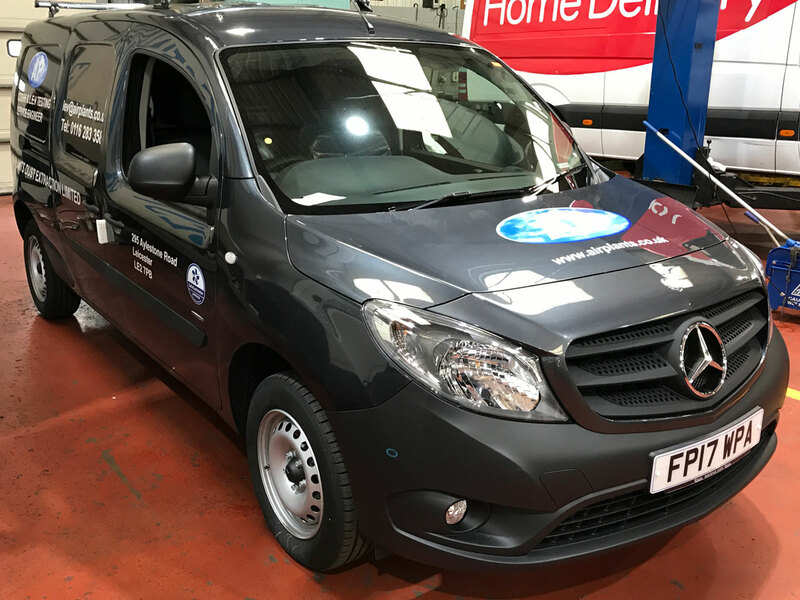 The vans showcase the company, it’s products and services whenever they travel to carry out surveys and installations. 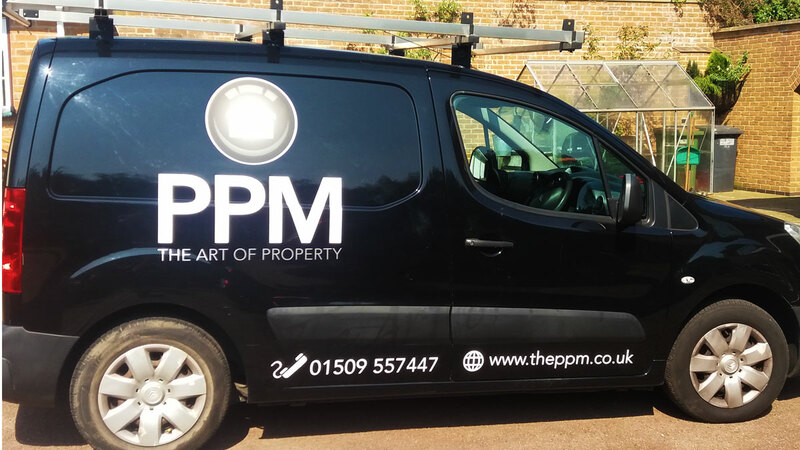 The PPM are based in Loughborough and offer building and property maintenance services and property management. 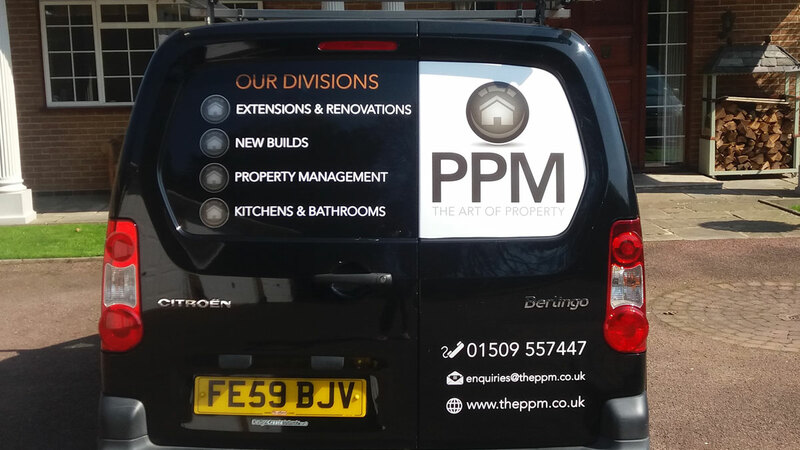 The new PPM logo looks great and stands out fantastically against the black van. 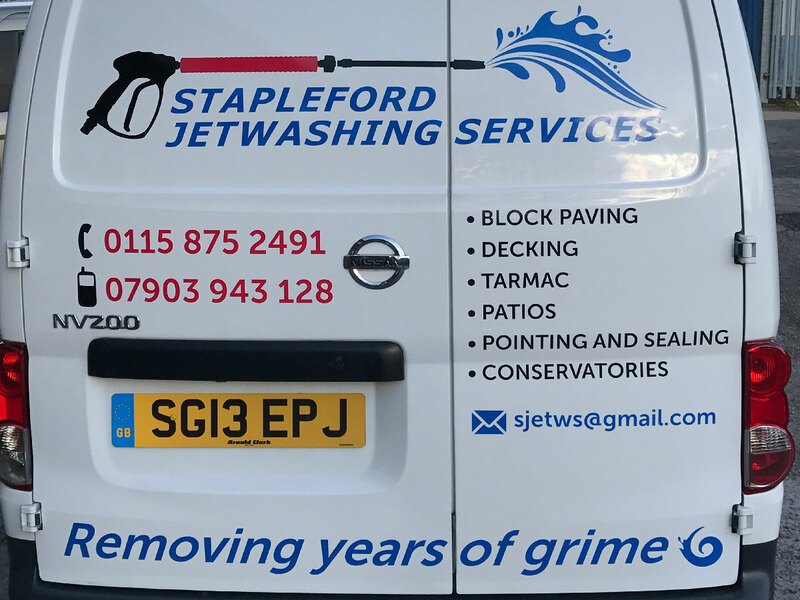 A simple design with logo, tagline, contact details and services available, helps to create a strong brand identity and looks clean and contemporary. 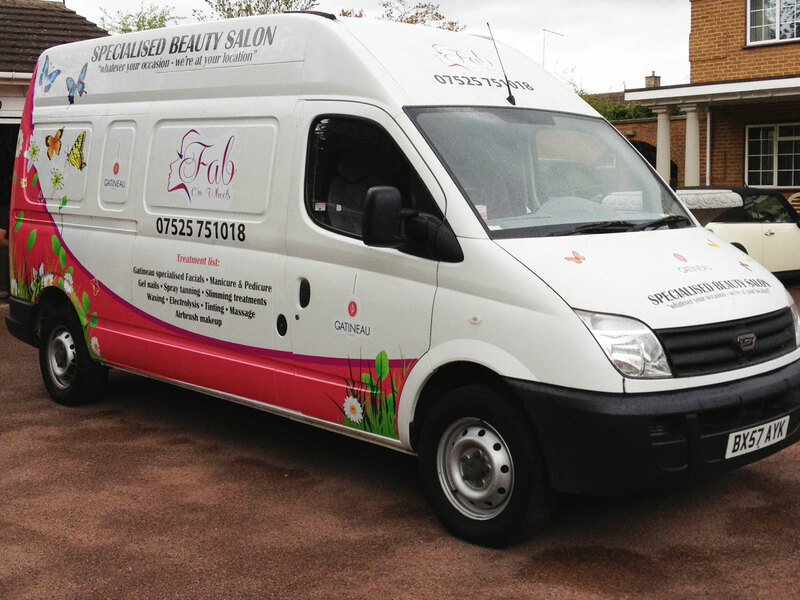 This vehicle has been adapted to act as a mobile beauty salon for Fab. 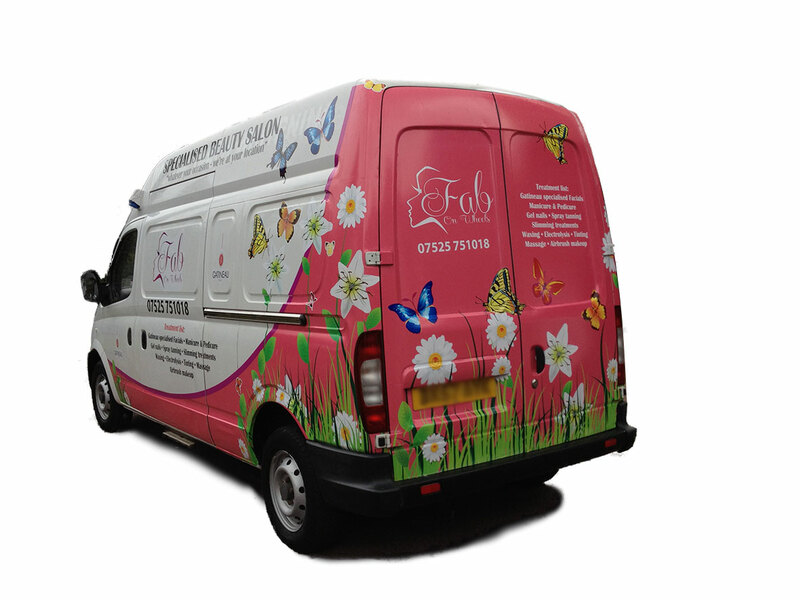 The customer chose this pretty and eye-catching design which is sure to be noticed when out and about providing mobile treatments. 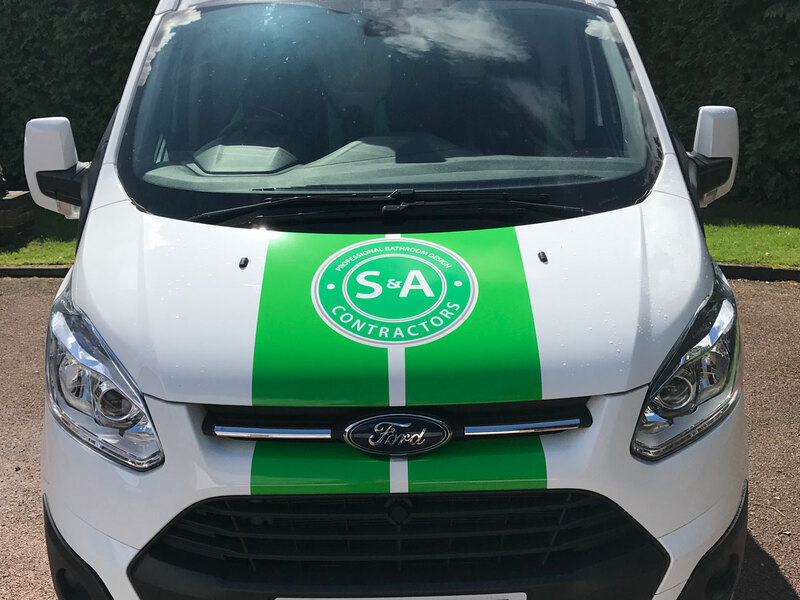 This partial wrap demonstrates how effectively a vehicle can be transformed with vinyl graphics. 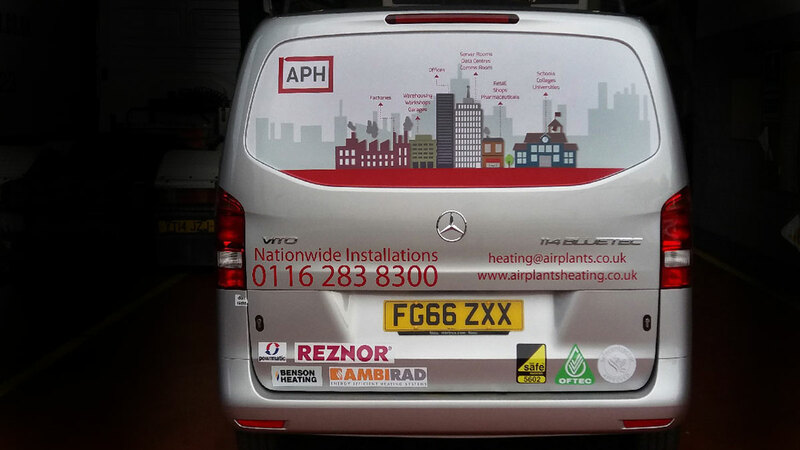 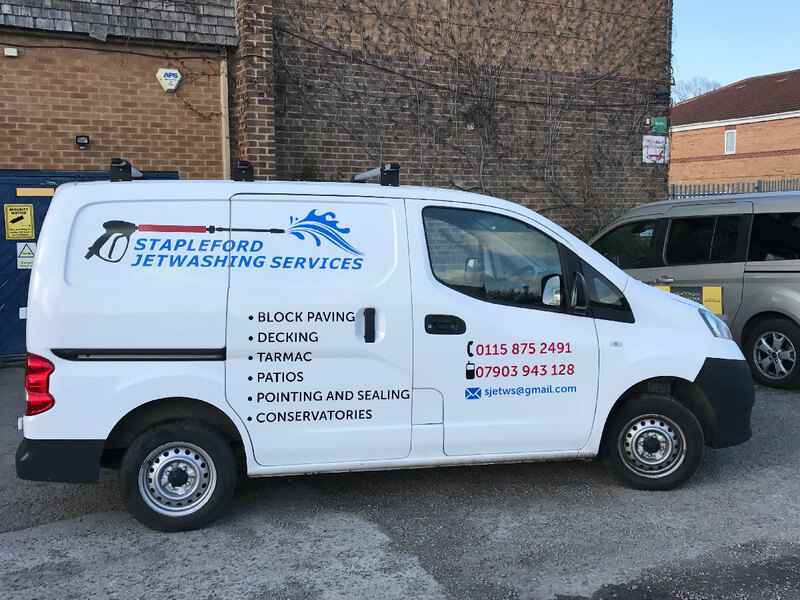 Adding the company logo, contact details and a brief list of services really makes use of the free advertising space on this clients van. 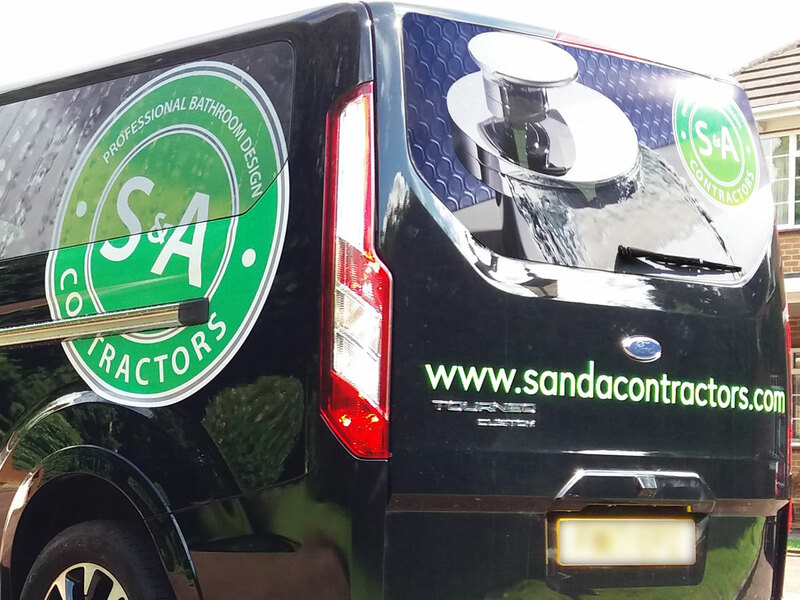 A small amount of signage can make a big difference to how a vehicle looks and instantly creates a professional look. 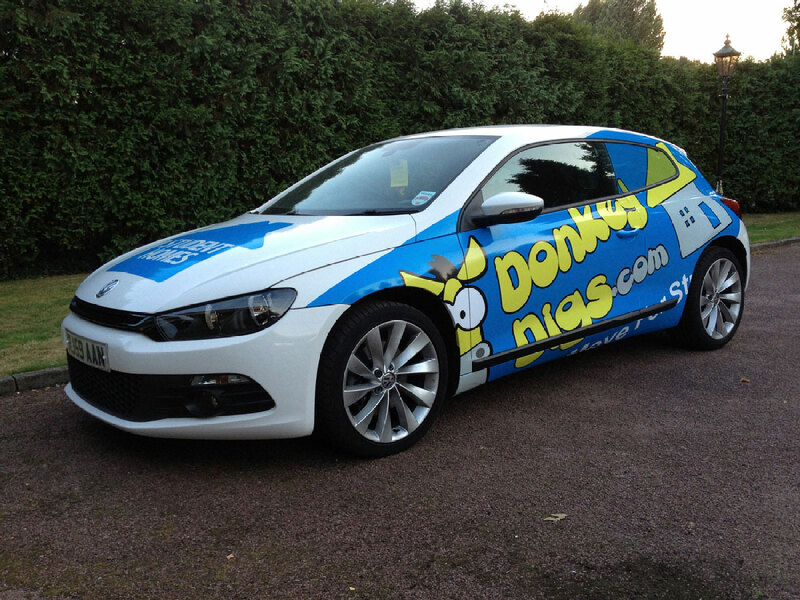 This Loughborough based Student Lettings company made the most of their quirky and fun branding in a partial wrap. 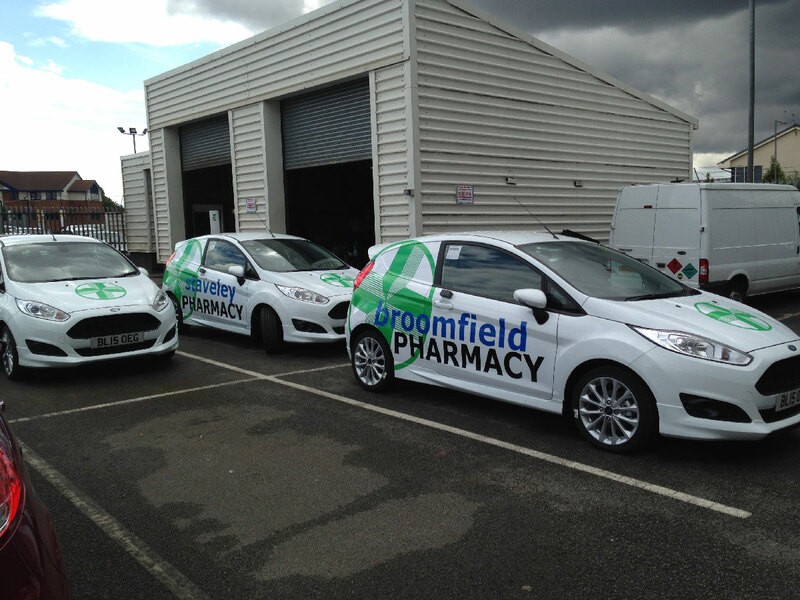 The car looked fabulous and maximised on advertising every time it was driven or parked. 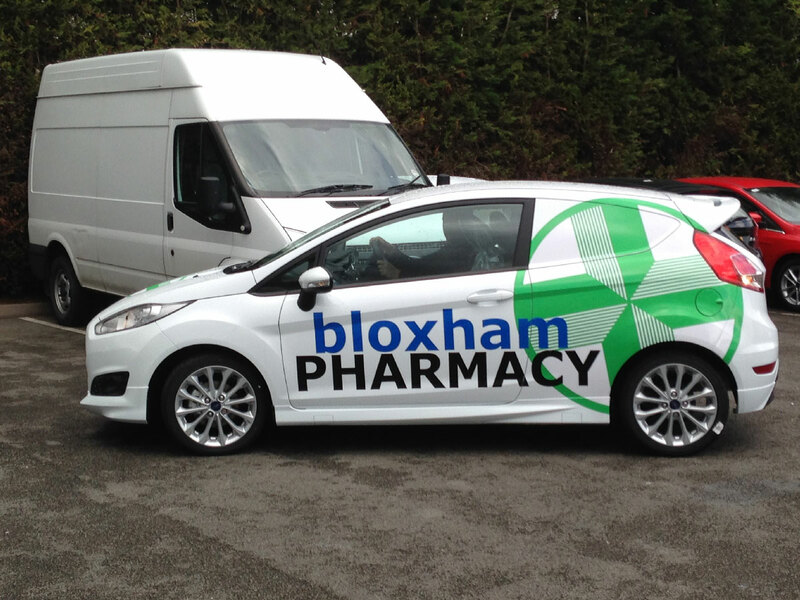 With branches throughout England, Chalice Pharmacies offer a free delivery service of prescriptions to their customers. 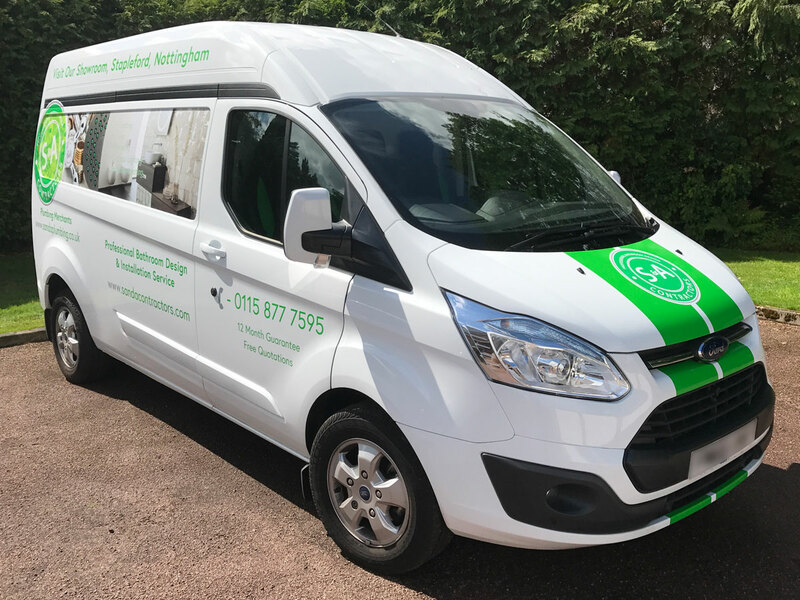 The lettering plus partial wrap of the pharmacy cross means that each pharmacy van looks professional and is instantly recognisable to customers. 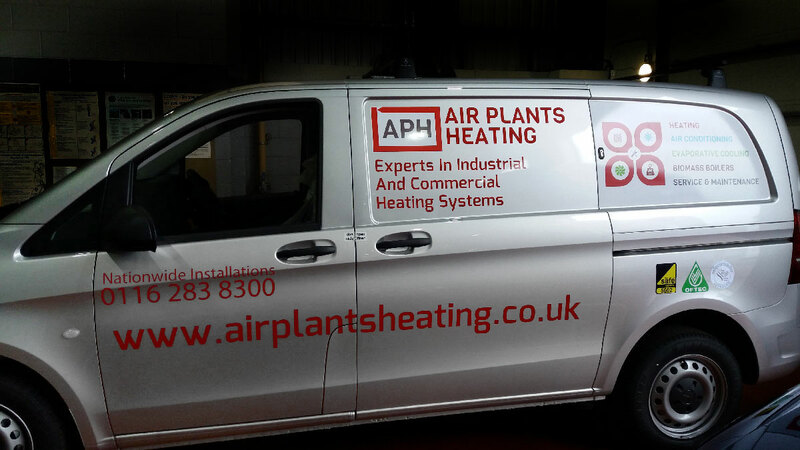 Air Plants Heating provide a nationwide service supplying, installing and servicing heating and cooling systems, biomass boilers and sustainable energy solutions. 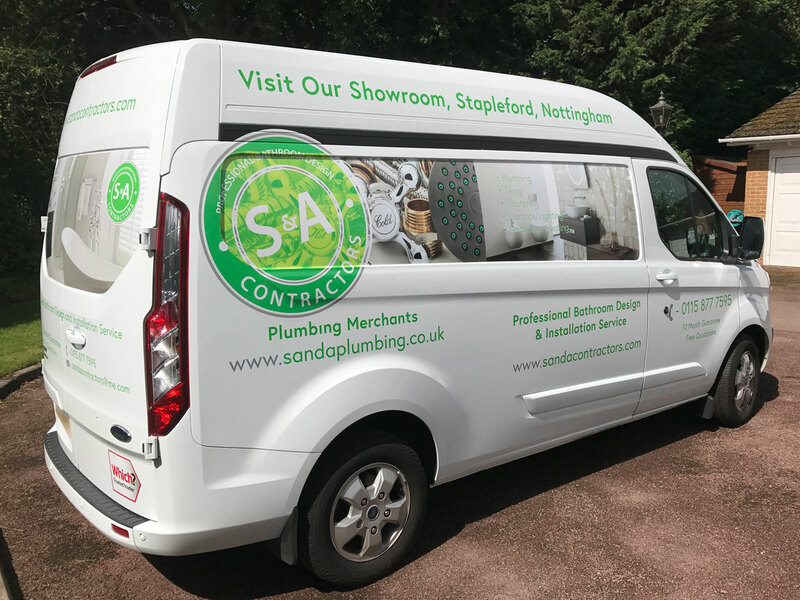 Their brand is presented consistently on their vehicles, showcasing and advertising their products and services as they drive around the country.